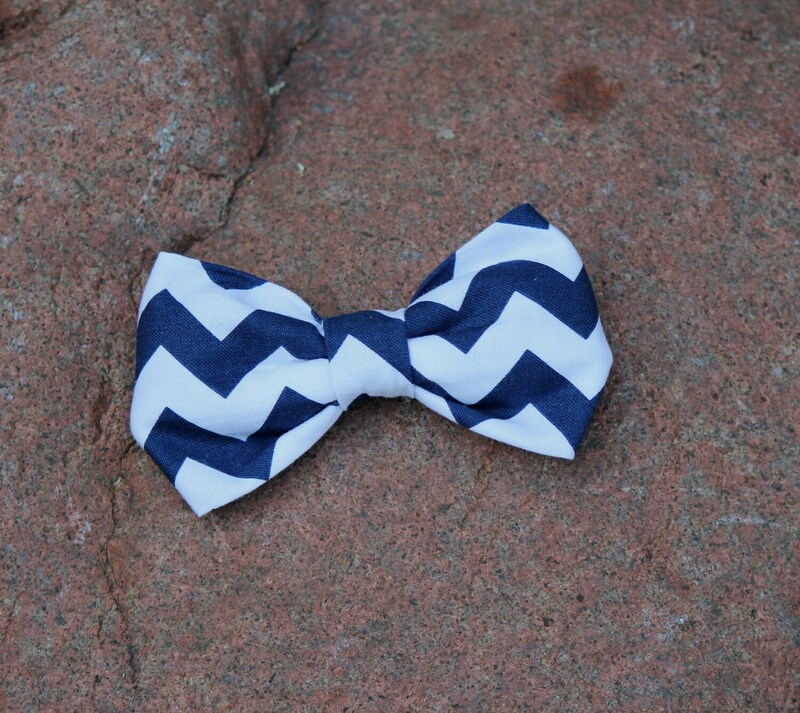 Stunning Navy and White chevron makes a perfect tie!!! Perfect for a wedding! Pictured size fits ages 6 to 10. If you want a different size, just leave me a message at checkout. 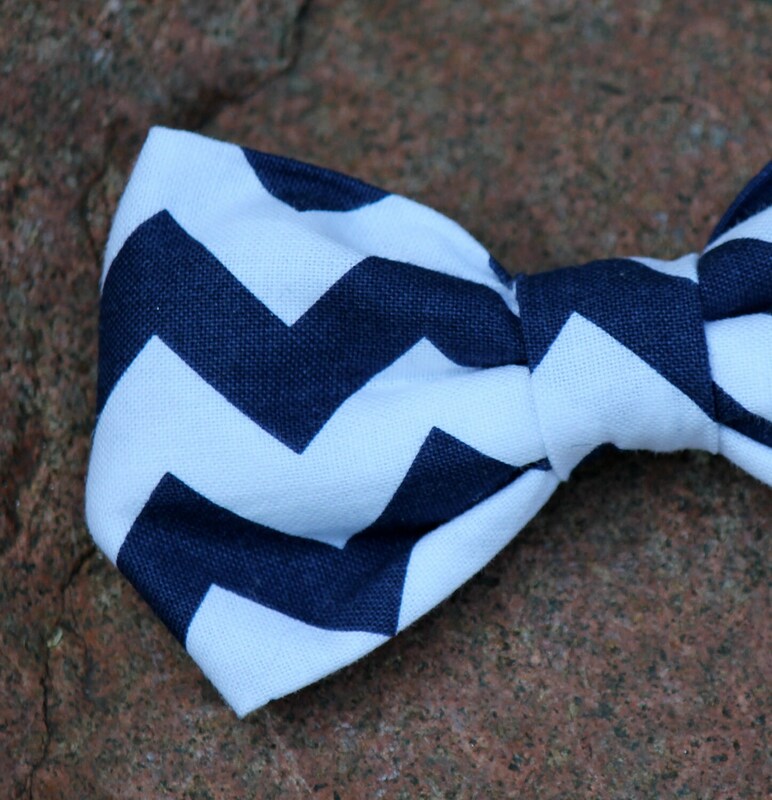 The mens clip on bow tie is a larger version of the boys clip on. It has a larger clip to accommodate a larger shirt, and a more substantial knot. The mens pre-tied adjustable strap bow tie looks just like the mens clip on, but instad of the metal clip, it has a 3/4 inch wide strap that goes around your neck and hooks securely and discretely under the bow. The self tying bow tie is for the true bow tie connoisseur. It has a European bow tie ribbon with a T hook that easily adjusts to your neck size from 13.5 inch to 18.5 inch. If you require a larger size, just leave me a note at checkout, and I can make it any size you need.